From this boutique Vancouver developers' latest email update on their newly completed affordable yet luxury Vancouver Gastown condos for sale: We are proud to be representing the Salient Group, Gastown Vancouver real estate's foremost producer of quality restoration and new construction lofts. A few select Gastown homes for sale at remarkable pricing are available to move into now! OPEN WEEKENDS FROM 2 - 4 PM. Prices for these new Gastown Terminus Condos for sale start from $496 per beautiful square foot. 303 - 1,612 sf = $799,900 or $496/sf; 304 - 1,534 sf = $788,800 or $514/sf; 309 - 1,477 sf = $798,800 or $541/sf; 310 - 1,607 sf = $799,800 or $498/sf; 312 - 1,255 sf = $699,800 or $558/sf. Plus, the Terminus Gastown Condos for sale also present a downtown Vancouver penthouse suite at PH2 - 1,389 sf = $1,138,800 or $820/sf. OPEN SATURDAYS FROM 2 - 4 PM. Two select Gastown Garage Vancouver homes remain for sale. The Garage Gastown Penthouse 604 is 1,654 sf and is a gallery like space to entertain and showcase your life. Expansive living area allows for flexible furniture and space planning. A living level terrace and roof top deck at this Vancouver Garage Gastown penthouse condo for sale gives you all the outdoor breathing space you want. Priced at $1,499,900. In addition, Unit 507 at the downtown Vancouver Garage Condos is a 818 sf South facing one bedroom with a balcony that overlooks historic Blood Alley and its beautiful tree canopy. Priced at $549,900. OPEN BY APPOINTMENT - One exclusive Paris Block Vancouver Gastown penthouse remains. At a new price of $629,900, 605 is an open concept loft space and has over-height ceilings, a brick feature wall and sleek Euro kitchen with Miele appliances (including a Capuccino maker) are included at the Gastown Paris Block condo penthouse for sale. At 1,047 sf and a 391 sf roof deck, this spacious suite is impressive. More details at www.kenleong.com and www.thesalientgroup.com or call us at 604.689.LOFT (5638) for more information about these fabulous new Gastown Vancouver condo offerings by the Salient Group. 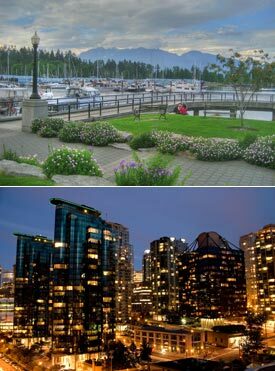 If you are looking for luxury Vancouver rentals, now is the time to check out the new WestPoint Vancouver apartment homes for rent, located in an incredible Westside Vancouver real estate community full of urban surprises, services and amenities. Brought to the Vancouver rental market by Bastion Development Corporation, the new Vancouver WestPoint apartment rentals is a rare opportunity for you to live in this prestigious neighbourhood without having to worry about mortgages, purchasing a home or all the expenses that come with homeownership. Located within the world renowned UBC campus, the WestPoint Vancouver Westside rental apartments offer a wide range of residences for rent that includes one bedroom, two bed and even four bedroom family sized homes. Vacancies are already limited at the UBC WestPoint Vancouver rental apartment homes, so you will need to register your interest with Bastion Development Corporation as soon as you can for previews and to submit your application. A wealth of amenities, services, premium finishes and outdoor living spaces are available now at the Bastion UBC WestPoint rental Vancouver apartment homes, which provides you and your loved ones a perfect setting for luxury urban living. For more information about these luxury Vancouver rentals at Westpoint UBC apartments, please contact the rental office at 604.742.1052 or you can also email westpoint@bastiondevelopment.com. For more information about Bastion Development Corp, please visit www.bastiondevelopment.com. For more details about these luxury Vancouver WestPoint UBC rental apartment homes, please visit their marketing site at www.liveatwestpoint.ca today. If you are looking to live within a world class university campus at UBC Vancouver Westside, the WestPoint luxury apartments for rent are definitely a great option for you and your family. Located at Walter Gage Road between East Mall and Westbrook Mall, the UBC WestPoint Vancouver rental apartments are ideally situated for students, staff, faculty and alumni who wish to live within this truly urban and world class neighbourhood. Sought after by renters, home owners and investors, the UBC real estate market for rentals is really hot all the time. You can walk to Nitobe Gardens, the impressively large Pacific Spirit Park as well as the world renowned Chan Centre for Performing Arts. Just beside the beautiful Vancouver School of Theology, the new luxury Vancouver WestPoint UBC rental apartments provide unparalleled living spaces, floor plans, location and interior features for renters and will be just minutes away from the urban framework of the campus including the Student Union Building, Brock Hall, War Memorial Gym, Koerner Library and the gym. The one bedroom Westside Vancouver rental suites include #102 at 405 sf and #112 at 390 sf, which are basically studio style floor plans. In addition, the new UBC WestPoint rental apartments will feature a range of two bedroom condos for rent that range from #212 at 767 sf all the way to unit #509 at 1013 sf. The four bedroom family rental at WestPoint Vancouver UBC apartments is #314 at 1312 square footage. Most of these floor plans and units will have outdoor living space in terms of patios and balconies. The range in sizes for these rental UBC apartments at WestPoint Vancouver is between three hundred and ninety square feet to one thousand three hundred and twelve square feet. Not much is known about the interior detailing and features of the rental apartments here at the Vancouver WestPoint UBC homes for rent. The only information that is given on the web site is that there are premium finishes and outstanding amenities in addition to most units having incredible views as well. The ground floor rental Vancouver apartments at WestPoint UBC will have ground level private entries and all homes will have in suite laundry with washer and dryer in addition to a dish washer too. With large windows, great open concept floor plans and outdoor entertainment spaces, the layouts of the WestPoint UBC rental apartments are truly functional and well thought out. When it comes to the finishing palettes, renters can expect to find only the best, including granite counter tops, bamboo tiles in both the bathroom and kitchen in addition to a modern appliance set. You can also choose between the premium or standard finishing for the rental suite that best suites your lifestyle and what you are looking for. The luxury UBC WestPoint rental apartments are brought to you by Bastion Development Corporation, a trusted and well established builder for distinct and luxury condos for rent. Located in the prestigious UBC real estate district, you can now rent a new condominium at an affordable rate here at WestPoint Vancouver. From their email response to rental inquiry: Thank you for your registration and interest in the Westpoint UBC rental condo building – the brand new Bastion development at the UBC area. Please visit our web site at www.LivingAtWestpoint.ca to learn more about the luxury rental apartment building in the Vancouver Westside and see some of the available floor plans. The UBC rental WestPoint apartment suite features: Granite/Quartz countertops, Ceramic tiling in kitchen, bathroom(s) and entry way, Option of bamboo floor or carpet in the living room/bedroom(s),Modern appliances, Large windows and spacious patios, Ground floor suites with private entry, 2 and 4 bdrm (with 2 bathrooms) UBC WestPoint Vancouver rental apartment suites come complete with washer, dryer, dishwasher and microwave, Some rental suites have spectacular ocean/mountain view (5th and 6th floor facing North). The Bastion WestPoint UBC rental building features: Great location, Concrete and steel construction, with green/landscaping areas, Bike and storage rooms available in the building and Secure, underground parking available at $75/month. Current availability of luxury Vancouver Westside rentals at the WestPoint UBC apartments as of July 2009 include: 2 bedroom (floor plan M) available at $2,100 per month, 2 bedroom (floor plan S) available at $2,030 per month as well as 4 bedroom (floor plan R) available at $3,200 per month – available September 1st. *Please note all 1 and 1+den WestPoint rental suites are currently rented out. For these WestPoint Vancouver Westside rental apartment suites we are creating a waiting list at this time. Rental cost for 1bdrm is from $1000 to $1250 per month. Let me know if you would like to be placed on the waiting list and if so, what month you are looking to move in. Showings for current availability here at WestPoint UBC are available by appointment only. Please contact me with any questions you may have, or if would like to make an appointment to see available suite(s). Sincerely, Zaklina, Building Manager at Vracar@Shaw.ca. With one of the most sought after downtown Vancouver real estate addresses, the pre-construction Coal Harbour condos at Brockton Point are slated for completion in a couple of years. With much anticipation, the final plans and designs for the Vancouver Brockton Point Coal Harbour condos have been finalized and approved and the luxury high-rise tower residences will be under construction soon. The estimated completion is not until 2011, but pre-sales for these luxury Vancouver Brockton Point condominiums will happen sometime between 2009 – 2010. The site address for these luxury Coal Harbour condos is at 501 Nicola Street Vancouver and unfortunately, there is not much known about this development or the developer just yet. Some of the fine interior finishes and features of these downtown Vancouver residences for sale will include granite countertops, a high-end stainless steel appliance package, glass walk in showers, ceramic tiling, plush carpeting, imported hardwood flooring in addition to insuite laundry. The presale Vancouver Brockton Point condos in Coal Harbour real estate market will also feature plenty of outdoor living space in the form of balconies and terraces in addition to air conditioning. With a great combo of both location and luxury, the Brockton Point Vancouver condos for sale is designed by Erik Magnussen, a noted and award winning architect from Denmark. The interiors are light filled, airy and contemporary open concept and the ultra modern condo tower features blue glass and stainless steel finishes on the exterior, giving the Coal Harbour high-rise condo a very unique look. One of the most exclusive Coal Harbour Vancouver condo towers is coming soon at Nicola Street, with true waterfront living available in presales events late 2009. The developer for Brockton Point condos is Easton & Lee Development Corp.
Construction is due to begin in October 2009 with presales happening shortly afterwards. Located at 101 Nicola Street in downtown Vancouver’s northern community at Coal Harbour real estate district, the Brockton Point condos present a high-rise tower residence that is unique and trendy, luxurious and well located along the shores of the Burrard Inlet. Offering amazing views of the water, North Shore mountains and the skyline, the pre-sale Vancouver Brockton Point condos are also just steps away from Vancouver’s famous seawall that links to Stanley Park, marinas, yacht clubs, downtown amenities and services. From the recreational standpoint, you can’t get any closer to hiking/biking trails, kayaking or anything you want to do along the beautiful waterways of the inlet. For true urban city lifestyles, the downtown Vancouver Brockton Point Coal Harbour condos offer you the best of dining, shopping, entertainment and relaxation within your own building or within your prestigious neighbourhood. With much of Coal Harbour already built out or rebuilt, the Nicola Street Brockton Point Vancouver condominiums offer you one of the last opportunities to purchase true waterfront Coal Harbour real estate. The elegant bathrooms will include recessed pot lighting, water saver toilet, Kohler soaker tub with an imported tiled backsplash, walk in full length shower stall as well as large format porcelain tiled flooring. Also present in the ensuites are stainless steel basins and Jensen Kyle vanity and cabinetry. The gourmet kitchens at the pre-construction Coal Harbour Brockton Point condos include Blomberg stainless steel dishwasher, AEG built in stainless steel oven, AEG electric cooktop, chrome fixtures and undermount sinks. The kitchens will also contain a SubZero fridge/freezer, granite countertops and Jensen Kyle custom cabinets. As far as the standard luxury features are concerned here at the new Coal Harbour Brockton Point condominiums, homebuyers can expect to find stainless steel appliances (as mentioned above), Miele combination washer and dryer in suite, imported ceramic tiling in bathroom/kitchen, contemporary low pile caprets in bedroom and engineered hardwood flooring (selections are available) in living/dining rooms and hallways. All presale Vancouver Brockton Point condos for sale will also feature in suite air and heating climate control system, open balconies with brushed steel railings and oversized picture windows too. There are currently 3 initial floorplans released for the pre-construction Coal Harbour condos at Brockton Point Vancouver that includes Layout A which is a one bedroom suite at six hundred and ninety nine square feet with an open concept floorplan living space and 41 sq ft balcony with panoramic views of Coal Harbour. This 1 bedroom Coal Harbour condo will have a presale price starting from $627,900 with a completion price at $647,900. The second floorplan (B) is a spacious two bedroom suite here at the downtown Vancouver Brockton Point condominiums for sale that includes 988 square feet of living space, ensuite bathroom, lots of storage/closet space and open concept dining/living areas. The pre-construction sales price is set at $725,000 while the after completion price is $745,000. Last but not least is the Layout C plan at Brockton Point Coal Harbour, which represents one of the larger residences here at two bedrooms plus den/flex room. The total square footage is 1162 sf and the presale price is $815,000 while after completion price is $835,000. There are two full bathrooms, lots of storage and an office space as well. There is a fifty nine square foot open balcony as well. The residences at Brockton Point condos are spacious with the smallest units around 700 sf up to 1600 sq ft. The starting price point of $635,900 is affordable for the Coal Harbour real estate market. Coming Soon to the TRI-CITIES... The Onni Group presents three new exciting presale condominium high-rise opportunities coming this spring to the Tri-Cities – Port Moody, Port Coquitlam and Coquitlam real estate markets. Register NOW to be the FIRST to know about preview events, new presale condo suite releases, pricing and more! The new Onni condo projects include the Oasis Coquitlam Condos, Port Coquitlam Shaughnessy on Lions Park and Port Moody Residences at Suter Brook Village. Here are the details surrounding the new Onni presale condominium high-rise towers in no particular order. The Residences at Suter Brook Port Moody are launching in February 2010. This 26 storey condo high-rise tower is located within a natural setting amongst beautiful landscaping and is by far one of the most prestigious yet affordable new condo developments available to homebuyers.. The Suter Brook Residences in Port Moody real estate market also features over thirty thousand square feet of amenities and will feature a great variety of one to three bedroom condominium floorplans, penthouse suites and unique sky garden units. 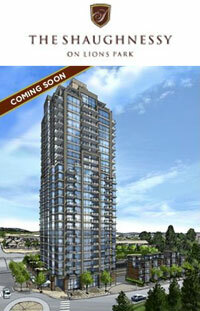 Check back soon for more updates on the new Onni The Residences at Suter Brook Village Port Moody. Another landmark condominium building will be making its way to the central Coquitlam real estate market. Built by Onni, one of the most respected and established Lower Mainland builders, the Oasis Coquitlam pre-construction condo project will be starting soon, with sales set to begin this spring 2010. 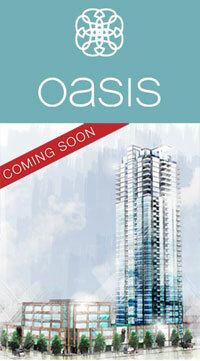 The new Coquitlam Oasis real estate project features penthouse suites, and one to two bedroom presale condos. One of the most amazing features of the high-rise tower is that the Oasis Coquitlam condo building will be thirty eight stories in height, making it one of the most striking and tallest highrises in the region. With extensive amenities and a great location close to Coquitlam Town Centre, check back soon for more updates regarding the new Coquitlam Oasis condo tower by Onni. As the only new Port Coquitlam condo high-rise available right now, this amazingly designed and constructed landmark building will begin sales in February 2010. The new Shaughnessy on Lions Park Port Coquitlam condo building will feature a great range of 1 to 3 bedroom suite floorplans, luxurious penthouse suites with the most amazing views in addition to family sized townhomes for sale. Port Coquitlam real estate market has never seen anything like this, and Onni is transforming the skyline with the new Lions Park Shaughnessy Port Coquitlam real estate tower. Close to West Coast Express and Coquitlam Centre Mall, please check back soon for more details regarding the new Port Coquitlam Shaughnessy condo tower in Lions Park by Onni. TO GET INSIDER INFORMATION ON THESE PROJECTS MAKE SURE TO FOLLOW THE LINK ABOVE. These are the 3 new condo high-rises in the Tri Cities of the Lower Mainland featuring the Oasis Coquitlam condos, Shaughnessy on Lions Park Port Coquitlam condominiums and the Port Moody Residences at Suter Brook Village. To learn more about Onni developments visit www.onni.com. *This is not an offering for sale. E. & O.E. The New Burnaby Toscana Apartments Now Selling! A new and affordable Burnaby real estate development is making its way to the hot market. The Bestbuy Development Toscana Burnaby apartments for sale are now launching with affordable suites that provide spacious floorplans, outdoor living spaces and a great location. Bestbuy Development’s first project, these new and exciting Burnaby apartments called Toscana Condos provide affordable urban living spaces for new homebuyesr and those who want to be central to services and amenities. With a great number of floor plans available in addition to attention to detail and great interior highlights, the Toscana Burnaby apartments for sale are well built and finished. Registration online is now available through VMG Project Marketing and you can also contact them through an online form. The points of contact and sales team at the pre-construction Burnaby real estate development by Bestbuy includes John and Fred. Some of the great features for this new project are the number of choices that are presented to every homebuyer. From white to stainless steel appliances and from dark or light colour palettes, new homebuyers are able to choose and customize their suites according to their preference and lifestyles. Quality and value are two key words to descrive the new Burnaby Toscana apartments, so register today and receive the latest news and sales launch updates coming soon. As mentioned above, new Burnaby homebuyers have a lot of choice when it comes to selecting a Toscana apartment for sale. From the carpets to interior finishes and from counter tops to hardwood flooring, there are so many standard features that homebuyers have a choice of, it’s not even thinkable. In addition to appliance selection, you can also choose different floor plans while looking for your new Burnaby home. The ground floor of this residential and mixed use building is commercial space, but the top three floors are all condominium homes. The penthouse floor features 13 amazing suites. From studios to three bedroom floorplans, the new Toscana Burnaby apartment development will provide a great selection of layouts that can fit any lifestyle and age group. The studio homes are around four hundred square feet and have one bathroom and very open living/kitchen space. The one bedroom suites at the pre-construction Burnaby Toscana apartment condos are between six hundred and four to 616 sq ft. The studios and one bedroom condominiums are located on one side of the building and there are 7 of these units on the penthouse level. On the other side of the Toscana Burnaby apartment building are the more spacious floor plans that include junior 2 bedroom, two bed and three bedroom layouts. These rangee from 631 to 982 square feet in size, some with 2 or more bathrooms as well. The third floor (one level down) has a very similar floorplate. The second floor of the residential Burnaby real estate development at Toscana Condos features fewer suites because that is where the condominium Amenity Space is. Complete with catering kitchen and a bathroom, you can host various events or parties here. There is also 1 commercial space available on the second floor of this building. Again, the pre-construction Burnaby Toscana condo development is the first of its kind by Bestbuy Developers and provides affordable condominiums to first time homebuyers. For more information, talk to a sales representative at VMG Project Marketing today for available floorplans, pricing, features list and amenity listing. Redefining quality and value in the Burnaby real estate market is the new pre-construction Burnaby Toscana apartment development with sneak previews starting in January 2010 between 1 to 4pm! The presale Burnaby Toscanad apartments present one bedroom suites starting from $194,900 and junior two bedroom floor plans from $264,900 for a limited time only! The sales office for the new Burnaby Toscana apartments is located at 7738 Edmonds Street with free parking in the rear. The parking directions include: drive on Edmonds Street and turn right on 19th Avenue, then turn right at the day care and parking is in the rear (follow the signs). For more information about the new Toscana Burnaby apartments for sale, please visit www.ToscanaBurnaby.com today. All new Burnaby apartments have the new National Home Warranty. The property is developed by BestBuy Development Ltd. And is marketed by VMG Project Marketing that includes Fred and John. The grand launch is expected to take place either January or February 2010. Located in Burnaby real estate’s ever evolving HighGate and Edmonds neighbourhoods, Toscana condominiums offers an exciting selection of condo homes – many with excellent views – that combine contemporary styling and affordable living spaces for new homebuyers looking for a central location. For a limited time only, prices for the new Burnaby Toscana condos for sale will start from just $194,900 for a one bedroom suite or $264,900 for a two bedroom. Incredibly priced and well situated, these Toscana Burnaby condos for sale are coming soon. The Toscana Burnaby sales centre is located at 7738 Edmonds. For more info, please call Fred or John at 604.631.0838 or visit ToscanaBurnaby.com. If you are in the market to purchase a new Abbotsford condominium home, you can look forward to the amazing new Gallantree Abbotsford real estate development that is coming this spring! Nestled on a hill on a quiet residential neighbourhood, yet minutes from all the shops you need, the pre-construction Abbotsford Gallantree condo development offers generously sized one and two bedroom presale homes designed for exceptionally comfortable urban living. Enjoy a carefree life in true Abbotsford real estate style. Gallantree Abbotsford condos for sale also fofer you the unique ability to preview your new Abby home for sale before you purchase. Construction is complete and guaranteed by the Redekop full confidence seal including a 2-5-10 New Home Warranty on every single presale Gallantree Abbotsford condo purchase. Completed and coming to you in February 2010, don’t worry about pre-construction waits and uncertainty as the new Abbotsford Gallantree condo development is already ready for occupancy! Please register at www.gallantree.ca or call today for early move-in incentives. Gallantree Abbotsford condominiums is developed by Redekop (Abbotsford) Homes Ltd. And is marketed by Magnum Projects. A higher quality of life is coming soon to the central Abbotsford real estate market. If you’re looking for a brand new Abbotsford condo development and luxury home, here is some great news. The new Abotsford Gallantree condos is a collection of fifty six one and two bedroom homes offering a minimum of 735 square feet floor plans so that you can live large year round. In addition, many of these presale Abbotsford condos at Gallantree feature spectacular views of both the North Shore mountains and Mount Baker. Centrally located and just minutes away from shopping, parks, and the vast selection of recreational opportunities that make Abbotsford real estate market a popular choice for outdoor enthusiasts, the new Gallantree Abbotsford condominiums are a step above its competition in today’s market. Best of all, when the presentation centre opens this spring, these new Gallantree Abbotsford condo homes will be ready for immediate move-ins, so there is no waiting game. Gallantree is located on Pine Street just off Gladys in downtown Abbotsford real estate market. For more information, visit www.gallantree.ca or call 604.556.8989 today. Abbotsford Gallantree's Grand Opening Block Party March 6th & 7th - WIN A TRIP AROUND THE WORLD! That's right! Gallantree Abbotsford condos for sale is giving a trip around the world to one lucky couple that visits our show suite during our Gallantree Grand Opening Block Party this weekend! Stop by Gallantree between 12pm-5pm this Saturday or Sunday (March 6th and 7th) to check out our new Abbotsford Gallantree Condo designer show suite and fill out a ballot to win! Gallantree's Block Party also gives you a much anticipated opportunity to walk through our fully completed homes. We’ve got a BBQ! Feast on hot dogs, chips, and soft drinks with all proceeds going to Big Brothers and Sisters. Make sure to bring the kids - complimentary face painting and entertainment will keep the little ones busy! The Best Abbotsford condo value here is the Gallantree's Value! Gallantree Abbotsford condos for sale offers the best value in the Fraser Valley real estate market! For a limited time, Gallantree Abbotsford condominiums is offering a preferred customer mortgage payment program that reduces your monthly mortgage payments to below current rental rates. To view the Abbotsford Gallantree Grand Opening Mortgage Program, click here. Why rent when you can own at Gallantree Abbotsford condos! The Show Suite Now Open: The Gallantree Presentation Center and Show Suite are now open for viewing! We are located at 33898 Pine St. Abbotsford and the Hours of operation are from 12pm - 5pm daily except Fridays. For more information about Gallantree Abbotsford condos for sale, please visit www.gallantree.ca or call 1-800-479-1045. We look forward to seeing you this weekend! The Gallantree Sales Team. The new Abbotsford City is a thriving community and a much sought after place to live for many new homebuyers. It’s a unique blend of modern urban amenities coupled with a friendly country style quiet living that is hard to beat in the Lower Mainland real estate market place. The opportunities for outdoor recreational activities are limitless. You’ll be well positioned to take advantage of it all with a new Abbotsford home for sale at Gallantree condos. The 56 boutique Abbotsford condo development features stunning views, larger than most other floor plans and a great location just minutes away from beautiful parks, big name retailers and all the attractions and charm of historic Abbotsford real estate market. In addition, the new Abbotsford Gallantree condos are in close proximity to the West Coast Express and the Trans Canada Highway that adds much convenience to your daily life. As the new Gallantree Abbotsford condo marketing says: lots of space, pristine neighbourhood and luxurious freedom. All of these assets are made available to new homebuyers here at the presale Abbotsford Gallantree condo development coming soon. The City of Abbotsford real estate market certainly has it all. With excellent shopping and dining, a university, and award winning community and recreational facilities, make Abbotford your next home now. There is a brand new hospital and an international airport as well. Surrounded by endless opportunities for outdoor fun, adventure and entertainment, new Abbotsford Gallantree condo homebuyers will be delighted to know that everything is within steps of your new home. Whether you enjoy mountain hiking, biking on scenic trails, playing golf, fishing, boating or downhill skiing, there is plenty to do and it’s all very close to the new Gallantree Abbotsford real estate development. Their email blast: Thank you for registering your interest with Gallantree Abbotsford condos for sale. Surrounded by beautiful parks, shops, and outdoor recreation, Gallantree offers a Grand Collection of spacious 1 and 2 bedroom new Abbotsford homes for sale. The Gallantree Condo presentation centre is currently under construction and will be complete for our Grand Opening in early 2009. As a priority registrant, you will receive the latest information as it becomes available, and will be invited to be one of the first to view what Gallantree Abbotsford real estate development has to offer. We look forward to speaking with you soon. Sincerely, Gallantree Sales Team at 604-556-8989 or info@gallantree.ca. Gallantree Abbotsford real estate development is the newest residential community created by the Redekop Group of Companies, a local developer renowned for providing quality workmanship, enduring value and exceptional service to homeowners throughout BC and Washington State. The new Abbotsford Gallantree Condo development is constructed using the most advanced rain screen technology and every new home is fully protected in accordance with the homeowner protection act of British Columbia with Travelers Guarantee Company of Canada. This comprehensive third party warranty includes a ttwo year materials and labour warranty, a five year building envelope warranty and a ten year structural defects warranty for your new Gallantree Abbotsford condo home. The presentation centre and display suite for Gallantree Abbotsford real estate development is coming soon to 33898 Pine Street, Abbotsford, BC. If you’re looking for a brand new Abbotsford condo for sale, here’s some great news. Gallantree Abbotsford condos is a collection of only fifty six boutique one and two bedroom condominium homes that offer a minimum of a spacious seven hundred and thirty five square feet so that you can live large year round, plus spectacular views to the North Shore Mountains and Mount Baker! Centrally located and just minutes away from all the shopping, parks and dining options you want, the Gallantree Abbotsford condos for sale will be very popular amongst outdoor enthusiasts and recreational snubs. Best of all, when the presentation centre opens this spring, these new Abbotsford homes at Gallantree condos will be ready for immediate move-ins, as construction is already completed! Gallantree Condo living is located on Pine Street just off of Gladys in downtown Abbotsford real estate community. For more info, please contact 604.556.8989 or visit gallantree.ca today. Abbotsford’s most respected real estate developer proudly presents the new Gallantree Homes for sale. A higher quality of life is now available in the central Abbotsford real estate market with one and two bedroom Gallantree condo homes nestled in a quiet residential community. Close to shops and services and minutes to all the outdoor recreational activities and facilities that you look for, the Abbotsford Gallantree condos for sale provide carefree living in true Abbotsford condo lifestyle. Gallantree Abbotsford condos offers homebuyers a 2-5-10 Home Warranty and a chance to view your completed home before you make a purchase decision. Construction is already completed, so all you need to do is visit the Gallantree Abbotsford condo sales centre and furnished display suite, and make your move today. These newly completed Abbotsford Gallantree residences are coming February 2010. Abbotsford real estate’s most respected developer brings you Gallantree condominium homes starting from just $699/month. Located in a quiet residential neighbourhood, the new Abbotsford Gallantree homes are now selling and feature comfortable one and two bedroom condominiums that feature nine foot ceilings, stainless steel appliances, granite counters, shaker style cabinets and much more. The grand opening block party at the public launch of the new Gallantree Abbotsford homes will be happening March 6th and 7th, so join them for this exciting event. The fine collection of only 56 new Abbotsford homes for sale at the Gallantree Condos offer spacious floorplans that start from an amazing seven hundred and thirty five square feet. Immediate possession and move-ins are available too, so you don’t have to wait. These very large homes are unlike anything you’ve seen and are brought to the Abbotsford real estate market by Redekop Developers who offer the highest level of finishes in their projects. Engineered hardwood flooring, stainless steel appliances and double nosed granite counters are just some impressive features included standard in every new Gallantree Abbotsford condo home. Efficient layouts, generous outdoor entertainment living spaces and views of downtown Abbotsford, mountains and much more are also available from various homes. The historic part of downtown Abbotsford are also just seconds away from the new Gallantree Abbotsford condos that features tonnes of community amenities and services. The Gallantree Condo presentation centre is now open at 33898 Pine Street Abbotsford. Looking for an exclusive condominium community in the most sought after Alexandra Gardens Richmond neighbourhood? The newest Polygon Homes community in the Richmond BC real estate market is called Cambridge Park Condos. Located in the most desirable Alexandra Gardens Richmond BC real estate neighbourhood, the presale Cambridge Park condominiums are contemporary apartments for sale to the general public right now. With an international style architecture by well renowned designers, Polygon Homes will build clean, contemporary and functional homes at Cambridge Park Richmond condos for sale. From expansive glass facades that are beautiful and striking to the rooflines with flat overhangs and horizontal metal fins, these international style Polygon Homes for sale at the Richmond Cambridge Park condos will give homebuyers a great opportunity to purchase affordable apartments that are fun, large and well designed. The functional floorplans range in size between six hundred and eight six square foot one bedroom apartments to mostly two bedroom offerings. There is also one 3 bed Cambridge Park Richmond condo floorplan available that is well over one thousand square feet. The interior finishes are fabulous and include polished granite counters and high-end stainless steel appliance package for the larger then life kitchens. Also present are soaker tubs and luxurious ensuite bathrooms here at the pre-construction Richmond Cambridge Park Polygon Homes for sale. For many people, this is enough to persuade them to buy a home here at the pre-construction Richmond real estate market. However, that is not all of the finishes. From solid core entry doors to beautiful broadloom quality carpeting in the bedrooms, there are many standard condominium features at the pre-construction Cambridge Park Richmond condos for sale that are optional upgrades in other developments, often costing new homebuyers an arm and a leg to get these standard finishes. So multiple bathrooms, large open style floor plans and light filled interiors are definitely great selling features here at this Richmond Polygon Alexandra Gardens Home development. Brand new Richmond apartments for sale are now being offered by one of the largest Lower Mainland developers, Polygon Homes. Presenting the new Cambridge Park Richmond apartments for sale, homebuyers now have a choice of chic condo living with various floorplans and affordable pricing. Set in central Richmond real estate market, the Cambridge Park by Polygon apartments feature a great location near local parks and recreational facilities in addition to plenty of dining and shopping options as you may well know already. In addition, the kitchens at the presale Polygon Cambridge Park Richmond apartments will feature oversized countertops with granite, stainless steel appliance set and lots of work space. The master ensuite baths will feature soaker tubs too. From nightlife to Steveston and from YVR to the Aberdeen SkyTrain station, everything is in close proximity to the Alexandra Gardens Cambridge Park Richmond apartment development by Polygon Homes. The prime location for capital appreciation, rentals or homebuyers is now the site of the newest apartment residence called Cambridge Park Connnnndos andhere, you will be close to a myriad of options for living, working and relaxing. There is a great range of both one and two bedroom floorplans and on opening day, 65 of the 120 new Richmond Cambridge Park apartments were already sold out! Affordability and selection are the two key successes to this new Polygon development. Alexandra Gardens is a neighbourhood on the upswing, with many new residential developments, in addition to retail and other services moving in. The Cambridge Park Richmond apartments are centrally located within Alexandra Gardens, making it an ideal fit for many types of people. The homes will have a move-in date set later, but it is widely known that they will be complete sometime around February or March 2011. The Cambridge Park Apartments in Alexandra Gardens Richmond real estate market are designed by Robert Ciccozzi and will feature luxurious interiors, guest suite, fitness studio, social lounge/clubhouse and live in resident manager. The last presale Richmond apartments at Cambridge Park are priced from $329,900. Straight from the Polygon Homes email desk: Thank you for your interest in Cambridge Park Alexandra Gardens Richmond real estate development, Polygon’s latest collection of contemporary apartment residences for sale right now. Please find below a selection of available floor plans, as well as an availability map of the Alexandra Gardens condo community: Floor Plan A Plan is a one bedroom layout here at Cambridge Park Richmond condos and is approximately six hundred and ninety square feet with an angled master bedroom, double vanities in the bathroom, small deck or ground floor patio. Layout B at the pre-construction Richmond Alexandra Gardens condos is the one bedroom plus den floorplan that features six hundred and eighty six square footage. The next floor plan is the C layout that has two bedrooms and is smaller at 785 square feet. The D plan is much more spacious at eight hundred and sixty nine sqft and features two full bathrooms and a walk in closet in the master bedroom. The pre-construction Alexandra Gardens Cambridge Park Richmond condo E floorplan features two beds as well and is a large 888sqft. The distinguishing feature is that the two bedrooms and two baths are both on separate sides of the home, which makes for better privacy and more open living space in between. The F Floorplan at the Cambridge Park Richmond BC real estate development features a nook (breakfast table computer area or bookshelves, storage) and is slightly over a thousand square feet. There is also a separate computer nook in the living space and a very large walk-in closet in the master along with two full bathrooms. The pre-construction Richmond condos for sale at Cambridge Park Alexandra Gardens also features 1 three bedroom floor plan (G Layout) that contains a nook space off the kitchen and is a very spacious 1074 sq feet. The Availability Map for the new Richmond Cambridge Park condos shows that this Polygon development is a four storey wood frame apartment building and features a U-shaped design. Should you have any questions, please do not hesitate to contact me directly at 778-297-7511, or by email at cambridgepark@polyhomes.com. Sincerely, Polygon Cambridge Park Homes Ltd.
With floor plan sizes ranging from 686 sqft all the way to 1074 sqft, the pre-construction Richmond homes at Polygon’s Cambridge Park is offering the most spacious new apartments in the most sought after Alexandra Gardens family neighbourhood. This new community is full of excitement, new services and amenities, schools and facilities and is a perfect place for singles, couples and families to live. The new Cambridge Park Richmond condos at Alexandra Gardens will feature a vibrant community with new residents, a great variety of shopping, boutiques, restaurants and a close proximity to downtown Richmond, SkyTrain and public transportation. Currently offered at presales pricing, these pre-construction Richmond condos for sale at Cambridge Park by Polygon won’t last long once they are offered to the general public. For more information about this exciting new Alexandra Gardens community, please register or call 778.297.7511. The Richmond BC real estate development is located at Odlin Road and May Drive. For more details, please contact Polygon Homes and their sales staff today. Polygon's Cambridge Park Richmond Apartments for Sale Opens this Saturday from $888/month! Greetings from Cambridge Park Richmond condos for sale, Polygon real estate developer's upcoming collection of apartment residences in Richmond's Alexandra Gardens community neighbourhood. We are excited to announce that after much anticipation, we will be opening for sale of these new Richmond apartments for sale this Saturday, February 6th at noon sharp! We are also pleased to tell you that a special financing promotion will be in place for the first Richmond homes sold at the Alexandra Gardens Cambridge Park apartments - one that could see you in your new home at the presale Cambridge Park condos from as low as $888/month*! Much interest has already been generated in this contemporary collection of one and two bedroom new Richmond apartments for sale at Cambridge Park homes, which feature versatile floor plans ranging to over 1,000 square feet, gourmet kitchens with polished granite countertops and sleek stainless steel appliances, and the in-building convenience of a Alexandra Park Richmond Cambridge Park private residents-only fitness studio, social lounge, guest suite for out-of-town visitors, and a resident manager to take care of all the finer details. With pre-construction Richmond apartment prices from as low as $329,000 for a two-bedroom Cambridge Park home, and only a limited number of homes available from as low as $888/month,* we strongly encourage you to arrive early on Saturday to ensure that you do not miss out! Our Cambridge Park Richmond apartment sales centre is located at 9191 Odlin Road in Alexandra Gardens community. In the meantime, should you have any questions regarding these new Richmond condos for sale, please do not hesitate to contact us directly at 778-297-7511 or by email at cambridgepark@polyhomes.com. We look forward to seeing you on Saturday! *Available for a limited time. Please ask Richmond Cambridge Park apartment sales staff for details. Sincerely, Polygon Cambridge Park Homes Ltd.
May Update: Own Your Home at Larkin House Windsor Gate Coquitlam Apartment from just $799/month! Greetings from Larkin House East, Polygon’s latest collection of one, two and three bedroom apartment residences at the master-planned community of Windsor Gate in Central Coquitlam real estate market place. I am pleased to announce an exciting new financing promotion - one that could see you in your new home at Larkin House East at Windsor Gate Coquitlam apartment community with a fixed mortgage rate of 1.95% for two years*! With remaining new Coquitlam homes for sale at Larkin House East at Windsor Gate community starting from $259,900, that means that your mortgage payments could be as low as $799/month for the next two years! I encourage you to visit us again soon to ensure that you do not miss out on this incredible offer here at the Larkin House Coquitlam apartments for sale in Windsor Gate community! As a reminder, our new Coquitlam Larkin House East apartment sales centre and three stunning display homes are located at 3097 Lincoln Avenue in Coquitlam, and are open noon to 6pm except Friday. If you have any additional questions regarding the pre-sale Coquitlam Larkin House apartments, I can also be reached directly at 604-552-1113, or by email at larkinhouse@polyhomes.com. *Special financing promotion available for a limited time. See sales staff for details. Over 30 Homes Sold Last Weekend at Larkin House East at Windsor Gate! We are excited to report that our much-anticipated Larkin House East Coquitlam condo sales opening this past weekend was a great success, with over 30 Windsor Gate homes sold in the first two days alone! Our newest Coquitlam homeowners were pleased to find incredible value in these luxurious Larkin House Windsor Gate homes, which are distinguished by inspired open-plan layouts ranging to over 1,000 square feet. The convenient location of the Windsor Gate Coquitlam real estate neighbourhood also proved its appeal, as buyers raved about the proximity of city centre shopping, dining, and entertainment, as well as the exciting amenities scheduled to arrive at the upcoming Nakoma Club. There is still an excellent selection of Larkin House East condos remaining, and with prices from as low as $249,900, I encourage you to visit us again soon to find the Larkin House Coquitlam home that is right for you! As a reminder, our sales centre and three stunning display homes are located at 3097 Lincoln Avenue in Coquitlam, and are open noon to 5pm except Friday. 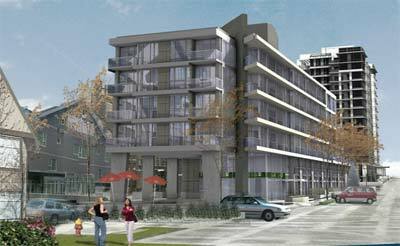 Coming Soon: Contemporary Larkin House East Apartments at Polygon's Windsor Gate Coquitlam! As a registrant for Polygon’s master-planned community of Windsor Gate in Central Coquitlam real estate market, the developers are very excited to let you know about the latest collection of presale Larkin House East Coquitlam condominium apartment residences coming soon to this exciting new Windsor Gate community! Following the highly-successful sales program and sellout at Larkin House West, Polygon Coquitlam real estate developers will soon introduce its neighbouring collection of one, two and three bedroom pre-construction Coquitlam homes at the Windsor Gate Larkin House East apartments for sale. Opening for presale in a few weeks, these carefully-crafted new Coquitlam homes will feature contemporary finishes, spa-style bathrooms and ensuites, designer kitchens, oversized windows, and imaginative floor plans that make the most of your living space. Residents at the presale Coquitlam Larkin House East Apartments at Windsor Gate community will also enjoy exclusive access to the Nakoma Club - Windsor Gate's 15,000 square-foot private clubhouse that stands at the heart of the new Coquitlam condo community and will feature an outdoor swimming pool, landscaped terrace and barbeque, fully-equipped fitness studio and gymnasium, screening room, great room lounge and more. With many experts predicting an increase in interest rates later this year, now is the time to ensure that you get the home you want at Windsor Gate Coquitlam Larkin House East apartment condos for sale, and secure financing at the lowest rates we've seen in decades. I encourage you to contact me at your earliest convenience so that I can provide you to with ample information prior to our upcoming sales opening here at the Windsor Gate Larkin House East Coquitlam condos for sale. The Larkin House Coquitlam condo sales staff can be reached by phone directly at 604-552-1113, or by email at larkinhouse@polyhomes.com. They look forward to speaking with you soon! Sincerely, POLYGON WINDSOR GATE LTD.- POLYGON LARKIN HOUSE EAST DEVELOPMENT LTD. Waylin, Sales Manager at Windsor Gate Larkin House East Coquitlam apartment condos at 604-552-1113 or larkinhouse@polyhomes.com. Following hot on the heals of Larkin House West, Polygon’s ultra successful condominium style development in the previous year, homebuyers will have a chance to purchase affordable new Coquitlam condos yet again at this master planned neighbourhood. Featuring finely crafted, West Coast style architecture, these affordable Coquitlam condos at Larkin House East by Polygon developers will feature contemporary and modern interior fnishings and features as well as unique floorplans that are both innovative and flexible to fit any lifestyle. From the designer kitchens with granite and stainless steel to the spa inspired ensuite bathrooms, the pre-construction Coquitlam condos for sale at the Larkin House East condominiums at Windsor Gate community will be coming soon in the beginning of 2010. Large windows will allow lots of light into your living spaces as well. From the exterior standpoint, Larkin House East Coquitlam condo homeowners will see manicured gardens and professionally landscaped grounds throughout the year. Most of these new Windsor Gate Coquitlam condos for sale at Larkin House East by Polygon will also have outdoor living spaces such as spacious ground floor patios or upper level balconies. These will be great for entertaining or just dining outside during the summer. The exterior architecture is truly West Coast and is inspired by our own Frank Lloyd Wright. The natural building materials for the custom architected exteriors of the new pre-construction Larkin House East Condos in Coquitlam’s Windsor Gate real estate community are truly beautiful. The offering provides a wide variety of condo floor plans that range from one to three bedrooms. The smaller units are great for singles who want an affordable Coquitlam condo to purchase. The larger three bedroom floorplans at the Coquitlam Larkin House East condominiums (some multi-level townhouse style residences) will be perfect for families and couples expecting children. You can always convert one of the three bedrooms into a home office and work from home as well. The new Larkin House East Windsor Gate Coquitlam condos will be conveniently located near Coquitlam Town Centre. From arts venues to movie theatres and from dining to shopping, home owners here at the new Larkin House East Condos in Coquitlam real estate market will be very close to all services and things to do. In addition to top rated schools of all kinds to the proposed Evergreen SkyTrain Station, the area surrounding Windsor Gate Coquitlam property market will likely see a huge boom in appreciation with improved transportation and an influx of new development by prominent developers such as Polygon’s Larkin House East condos. Coming Soon by Polygon - Contemporary Apartments in Central Coquitlam Real Estate Market! Opening for sale in a few weeks, these carefully-crafted one, two and three bedroom new Coquitlam homes for sale at the Larkin House East apartments feature contemporary interior finishings, spa-like ensuites, powder rooms, gourmet chef inspired kitchens, over sized windows, and functional/spacious floorplans ranging to over 1000 sq ft that make the most of your living space. Inspired by legendary architect Frank Lloyd Wright, the exterior architecture of Larkin House East Coquitlam apartments for sale will create an elegant synthesis of comfort and beauty through the blending of natural building materials and custom features throughout the premises. These affordable Coquitlam apartment condos will become available to VIP guests and the general public very soon, so if you are looking at the presale Coquitlam Larkin House East apartments as your next home in Central Coquitlam please register for more information on the upcoming sales event as well as contact the Polygon sales staff today for more details. The highly successful sales program at the Windsor Gate Coquitlam Larkin House West in 2009 has resulted in the upcoming release of the Larkin House East condo homes ahead of time. These new homebuyers will also have access to the amazing amenity centre and these Larkin House East Windsor Gate Coquitlam apartments will become part of this dynamic Polygon master planned community for generations to come. These contemporary apartments at Larkin House Coquitlam real estate market are coming soon. Qualex Landmark Launching North Vancouver District Crossing, LUNA Calgary Condos, Alberta Boot Calgary Projects Soon! Qualex Landmark Vancouver Real Estate Developers - And Alberta Too! New Year - New Website - Happy New Years from everyone at Qualex-Landmark Vancouver real estate developers. With the New Year comes the excitement and anticipation for everything 2010 Vancouver real estate market place has in store, including our newly launched corporate web site for Qualex-Landmark property developers located online now at www.qualexhomes.com. 2010 will be an exciting year for Qualex-Landmark property builders, and as a purchaser, Realtor, friend, or past registrant we want to share a bit of what you can expect from us this year. Located in the District of North Vancouver on the corner of Lloyd and Marine Drive in the desirable and central lower Capilano Neighbourhood, District Crossing condo development by Qualex-Landmark builders consists of 129 beautifully appointed residential condominiums in three 4-storey frame buildings with a neighbourhood village-style retail component on the main level. Construction has already started and we anticipate completion early in 2011, so there is time to check it out, and prepare yourself for the presales events. The District Crossing North Vancouver condominium Qualex-Landmark discovery centre is scheduled to open to early VIP registrants in Fall 2010. Watch for more to come soon and visit www.districtcrossing.com to register. Located in the established, west side beltline neighbourhood of Connaught, in Calgary real estate market, LUNA Condos by Qualex-Landmark developers is a 31 storey structure with 218 generously proportioned and handsomely designed presale Calgary homes for sale. The pre-sale Calgary LUNA condominium tower residences is ideally located for you to enjoy an enriched urban lifestyle and all of the existing neighbourhood conveniences. Known to some as the Design District, there are galleries, theatres, shopping and restaurants close by. Additionally, the Qualex-Landmark LUNA Calgary condos for sale offer easy access to 17th Avenue, 4th Street and downtown Calgary real estate market place. With construction of the LUNA Calgary condos for sale by Qualex Landmark starting in the coming months there is no better time than now, to visit the presale Calgary LUNA discovery centre located at 1120 – 10th Avenue SW, Calgary or go to www.liveatluna.com to learn more. RELAUNCH: Luxury Vancouver LUMEN Condos at Granville Island - Affordable KIts Condos for Sale - Only 36 Remain! Boutique Kits Condos for Sale at LUMEN Vancouver – Final Sales! Would you like to move-in today? Would you like to beat the BC HST? Both are now available at the Vancouver LUMEN at Granville Island condo development. Be in the heart of the Kitsilano community and visit the sales centre today for more information about the availability of the remaining suites at these recently completed Vancouver condos for sale. Priced in the $300’s, these affordable Kits condos at LUMEN Granville Island is a great steal and bargin for first time homebuyers and downsizers alike who don’t want to sacrifice location for price. A trendy and hip location, the Granville Island LUMEN condos for sale in Kitsilano Vancouver real estate market place is complete and ready for homebuyers to move in! From the shopping and waterfront seawall to the eclectic stores and fine restaurants, the Kits LUMEN condos are absolutely located in one of the hottest locales in the Vancouver West community. With the yellow/green architectural style and colour on the exterior façade to the impressive Built Green interior features of the building, the new LUMEN Kitsilano condos at Granville Island are suited for those who want to protect the environment, save on energy and water as well as be close and walking distance to all amenities and local services. Notonly that, but here is no other Built GREEN condo project like the Kits Vancouver LUMEN at Granville Island condominium project by Bucci. The interiors are simply amazing. From two bedroom suites that have Euro style angularity, minimalist design to the lineal kitchens that have high-end appliances, dramatic countertops and open style layouts to the bedrooms that are separated by glass walls and are extra spacious, the LUMEN Condos at Granville Island Vancouver are luxurious from head to toe. Not only that, but there are flexible spaces that can be used as separate dining rooms or office space. Built in cutlery dividers, soft close drawers, high-end roller blinds and engineered hardwood floors are other features that homebuyers love about the new Vancouver LUMEN Granville Island condos now selling. There are also Japanese style soaker tubs and heated floors in the master ensuite bathroom! With Built GREEN BC Certification, the LUMEN at Granville Island Vancouver condos for sale in the boutique Kits location are a model of energy efficiency and environment protection thorugh responsible construction. Offering a range of studio to two bedroom layouts, the pricing for the final release of LUMEN Kits condos in Granville Island are now priced affordably from just $339,900. 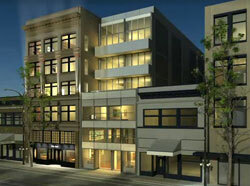 The presentation centre of the Vancouver LUMEN condos is now located on site at 1635 West Third Avenue, Vancouver. Luxury Vancouver Condos at LUMEN Granville Island Re-Launching Now! Get ready for the relaunch of the successful and luxury Vancouver condos at Granville Island’s LUMEN Kits condominium development. These luxurious Kitsilano condos overlook the central and eclectic Granville Island Vancouver real estate community and are now completed and ready for immediate move-ins and occupancy! Now presale or pre-construction worries here! As described by their marketing brochure, these luxury Vancouver condos at LUMEN Granville Island are designed specifically to complement your modern urban Kits condo lifestyle. Each LUMEN Vancouver condo is smartly configured to maximize your living space (both inside and out), and features impressively large floor to ceiling windows that flood the new Kits condos with natural light throughout the day. Some of the building features here at the luxury Kits LUMEN Vancouver condos for sale include top quality concrete and steel construction (much better than wood-frame, and provides a better sound barrier between you and your neighbours) in addition to geothermal heating and cooling system that is environmentally friendly and saves you a lot of money. For a limited time only, you can now purchase a new Kits luxury Vancouver condo for sale at LUMEN Granville Island that features a wide variety of studio, one bed, one bedroom plus den and two bedroom floor plans. Currently, there are only 36 well appointed suites available at the luxury Vancouver LUMEN Kits condos for sale and the floorplan sizes range from four hundred and sixty nine to eight hundred and one square feet. The new relaunch features exceptional pricing as well, and the starting prices for these luxury LUMEN Vancouver Kits condos for sale start from just $339,900 plus GST. Please note that there is no HST applicable on these new Kits condos, so you get instant savings already. The location of these Granville Island LUMEN condos in the Kitsilano Vancouver real estate market is at 1635 3rd Avenue in Vancouver between Pine and Fir. Some of the impressive features of these affordable luxury Kits condos for sale at LUMEN Granville Island include ample decks and patios (outdoor living and entertainment spaces in all floor plans) plus a roof top deck complete with barbeques and retreats available to home owners and residents. In addition, the new Kits LUMEN Vancouver condos for sale will feature striking white quartz counters, rich wood veneer cabinetry and matching paneled appliance set that is professionally designed, integrated and seamless. This European design is the most sought after as it is modern, clean and functional. In the master ensuite bathrooms here at the luxury Vancouver LUMEN condos in Granville Island/Kits, homebuyers will find frameless glass showers, extra deep soaker tubs and distinctive built in medicine cabinetry. With a keen design sense for both beautiful finishes and functionality, these LUMEN Kits homes for sale have beautiful interiors that are livable as well as modern. Maximization of space, storage and floorplans is of utmost important to the urban dweller, and these Granville Island luxury LUMEN Vancouver condos are a minimalist elegance with sleek and modern materials. Best of all, these luxury Kits condos for sale are now completed and ready for immediate occupancy. The LUMEN sales centre is located on site and is open daily from noon to six but closed on Fridays. The sales director for the LUMEN Kits condominiums is Scott and the prices are subject to change without notice. You can still visit their marketing web site at www.lumenvancouver.com. Also, you can contact the luxury LUMEN at Granville Island condos at 604-944-0446 for further details and to book a viewing appointment. More information about the Kits LUMEN Vancouver condos for sale is here. Kitsilano Lumen Grand Opening – January 30th, 2010! Move in today. Be in the center of it all. You're invited to the Lumen at Granville Island Grand Opening! 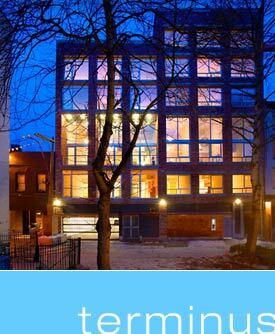 Please join us for our Grand Opening Launch at Lumen at Granville Island Vancouver condos for sale. Spend the afternoon meandering through our 4 professionally decorated show suites and discover true Vancouver real estate value! These luxury Kits LUMEN homes start from just $339,900*! WHEN: Saturday, January 30th, 2010 from 12-6pm; WHERE: Lumen Presentation Center, 1635 West 3rd Ave., Vancouver (between Pine & Fir). If you are unable to attend our Grand Opening at the Lumen at Granville Island luxury Vancouver condos for sale or wish to be kept posted of Lumen updates, please register as a VIP customer. The Presentation Centre willl be open from noon to 6pm as of January 30th, 2010. We look forward to meeting you and hope to see you on Saturday, January 30th at our Grand Opening at the luxury Vancouver LUMEN Condos at Granville Island! Best regards, Scott & Carmen, Lumen at Granville Island Sales Team. From their email desk: Thank you for your interest in Lumen at Granville Island. Lumen Kits condos for sale is a boutique concrete Vancouver condominium building consisting of just 62 homes located in the prestigious Kitsilano real estate neighbourhood at West 3rd Avenue and Pine Street. Lumen at Granville Island condo development's ideal location places you just steps from Granville Island and the shops and restaurants of West 4th Avenue. Each luxury Vancouver condo for sale includes high-end contemporary finishes and appliances as well as geothermal heating and cooling. As a priority registrant you will receive updates as they become available. A member of our LUMEN Kits Condos Sales Team will be in contact with you shortly. However, we encourage you to visit our Presentation Centre at your earliest convenience. Once again, thank you for registering for Lumen at Granville Island. Your life. Illuminated. Lumen Kits condos for sale is now completed and ready for move in now. Modern day concrete Vancouver condo residences for sale built to today’s greenest standards with a selection of studio, one and two bedroom Kits condos for sale. Nestled on quiet street just steps away from Granville Island and Kitsilano Vancouver real estate community, the Lumen condos now have four display homes available for viewing. Move in today! The Lumen Vancouver condos start from $339,900. See floor plans and interior photos online at lumenvancouver.com or visit the sales centre at 1635 W 3rd Ave, Vancouver. View here, shop here, live here and play here at the luxury Kits Lumen Vancouver condos for sale today!